Do you have significant storage needs, but don’t have a wide lot to work with? 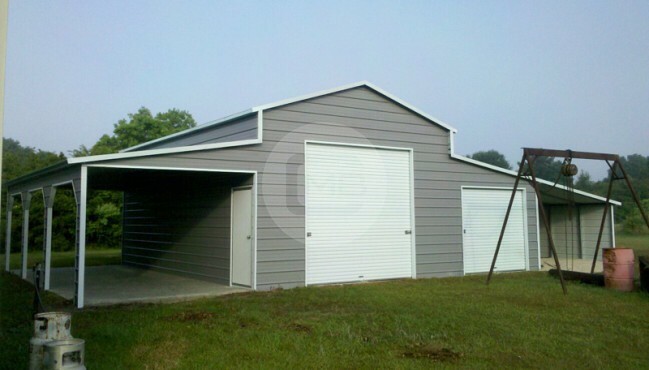 A 50×100 metal building from Metal Barn Central could be an ideal solution for you! You can also customize the building height to your specifications, giving you the ability to accommodate taller vehicles or equipment, including everything from an RV to a combine harvester. What could you do with 5000 feet of open, column-free space? 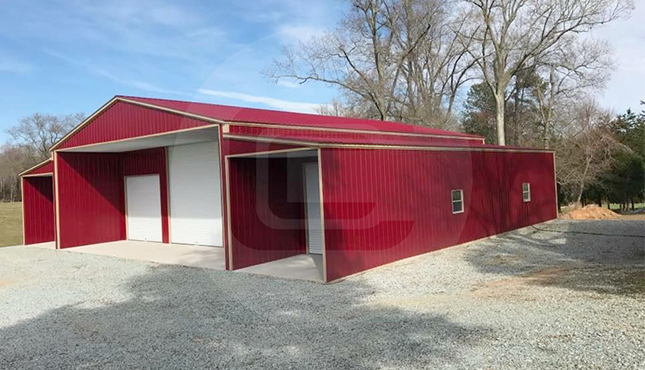 This 50’-wide steel building can be customized and divided any way you choose. You could even choose to designate a portion of this 50’x100’ multipurpose facility to be used as insulated, climate-controlled living space (complete with walk-in doors and windows), and then set aside the rest of the building for open storage space. This building is twice as long as it wide, making it ideal for many farm and commercial applications. Several businesses need a dividable space, with a front area for customers and a back area for work and storage. This is a common need for auto service centers, restaurants, bakeries, and medical practices. Or perhaps you have a manufacturing plant, and you need to meet OSHA requirements to keep your manufacturing space and office space separate. Or maybe you’re a farmer who needs separate spaces for your horse stalls and dairy barn. Alternatively, you could keep hay and equipment on one side of the building, and livestock on the other. Or maybe you need a church sanctuary (this building could easily seat 250-300 people). Or perhaps you need to accommodate your growing dance studio, or karate dojo, or fitness center. As you can see, the possibilities for a 50’x100’ metal facility from Metal Barn Central are endless! 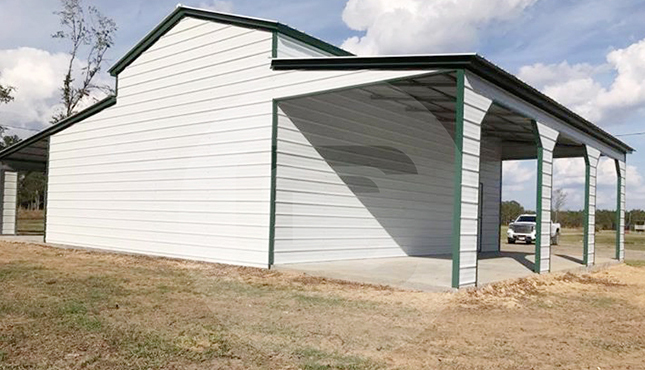 Your 50’-wide metal building can be equipped with garage doors, walk-in doors, windows, gables, different roof styles, and other customization options for full functionality and convenience.